During this free webinar you will learn how the findings from a newly released American Gas Association (AGA) Fire Study can be applied to your workplace and heat/flame hazard assessments. The AGA, an industry organization representing more than 200 natural gas providers, undertook an in-depth technical study to better understand fire hazards faced on the job, including: escape time of the victim, time required for a bystander employee to extinguish a fire, measuring the heat produced from a natural gas fire, and how multi-layer FR PPE garment systems perform under thermal testing at extended exposure times. The facts, figures and conclusions of this study are important for protecting workers not just in the natural gas industry but can also be easily applied across other work environments where a thermal hazard exists. 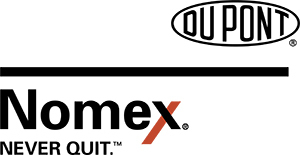 Caroline Holtzman, DuPont™ Nomex® FR Technical Leader, is a member of the DuPont Protection Solutions North America Thermal Apparel Team. She completed a Bachelor’s degree in Chemical Engineering and a Master’s degree in Systems Engineering, both from Virginia Tech. She has 13 years of experience in the industrial fiber and fabric industry as well as 7 years in higher education as an engineering professor.